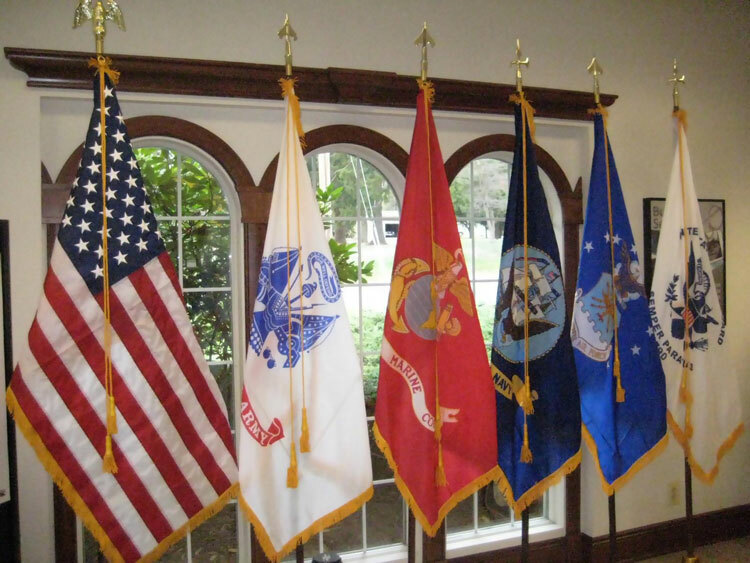 Have you ever wondered where the Marine Corps flag should stand next to the service flags of the other military branches? Although Marines think we’re better than everyone else, the Marine Corps flag is not the ranking flag when all U.S. military flags are displayed (but it’s close). 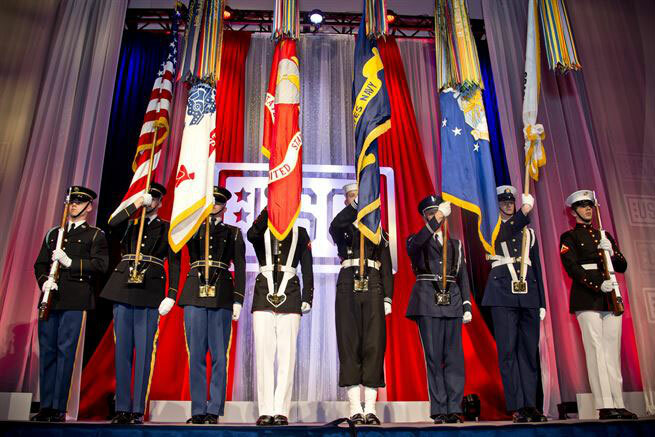 Correct Order of Precedence for military service flags; ranked by seniority from left to right. Correct order of precedence for American Flag and U.S. military service flags. 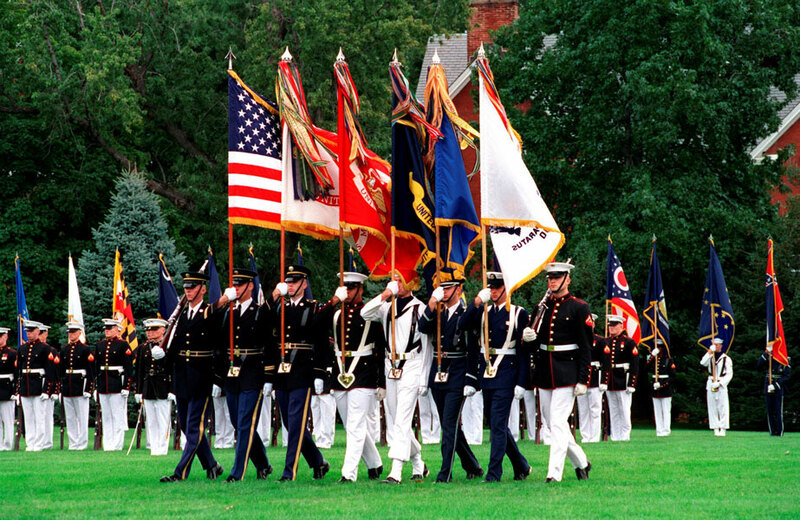 A joint color guard carries the U.S. Flag, Army Service Flag, Marine Corps Flag, Navy Service Flag, Air Force Service Flag, Coast Guard Service Flag. Jeremiah McCloud is a freelance writer, marketing consultant, and veteran of the U.S. Marine Corps. He joined the Marines in 2001, and attained the rank of Sergeant before attending the U.S. Naval Academy. After graduating from the Naval Academy, he served as a Marine Corps signals intelligence officer, and deployed to Afghanistan as part of a foreign military advisor team. Jeremiah writes on a range of topics including military lifestyle, politics, marketing, and strategy. where would the Pow/Mia and the American Legion Post flags be in the precedence order? Precedence is American, then in order of importance, so generally POW would be next, then state, then organizational. Do you know why the Coast Guard flag is after the Air Force flag since the Coast Guard was founded before the Air Force. In regards to the reason – some say its because the Coast Guard was not “part of the big four” – even though they are older than the Air Force.